This classic and its protagonist- kind, brilliant, honourable-to-a-fault, emotionally repressed Christopher Tietjens– have thoroughly captured my heart. A paragon of integrity in a corrupted age, aristocratic but ill-starred Tietjens is forced to re-evaluate his unyielding standards in the face of a world shattered by war. Piercing, compassionate, deeply humane. Brings to life a lost age, a crucial period in history, and a cast of superbly realised characters. 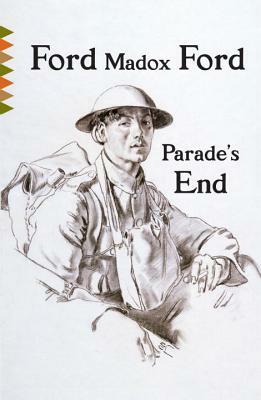 Ford Madox Ford’s masterpiece, a tetralogy set in England during World War I, is widely considered one of the best novels of the twentieth century. Ford Madox Ford (1873–1939), was born in England. Author of The Good Soldier, Parade’s End, and The Fifth Queen, he is also remembered for founding two influential literary journals and championing many of the leading modernist writers of the day.